If you were able to properly sing that wacko note in your head then you’ve definitely felt a little nostalgic as those same words came from the singing voices of the original Danny Zuko and Sandy Olsson. 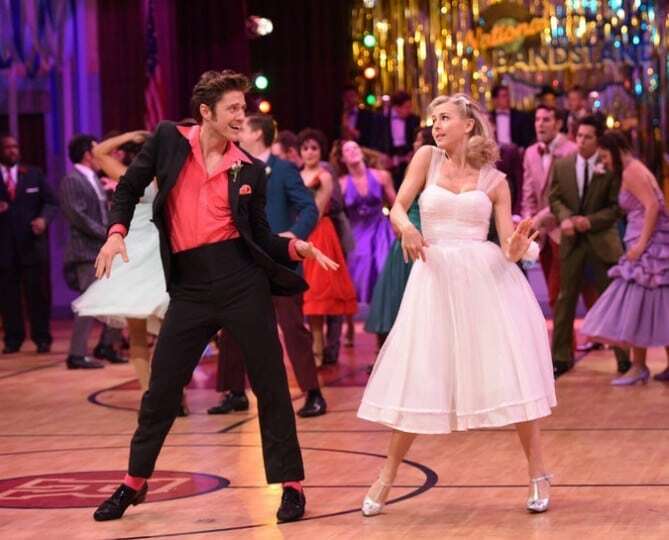 Grease: LIVE made its debut Jan. 31, on FOX. The late 1970’s musical classic met the modern ages and was a big hit viewed by millions. Original Grease fanatics, like me, were glued to the television. The producers behind this marvelous recreation of the original 50’s musical have pushed and delivered in allocating the limits on what live programming can accomplish. The stunning performance left the audience in awe; Grease definitely is the word everybody has heard. Of course, when word gets out about a recreation of an old classic, many become skeptical if such a reenactment can be properly pulled off. FOX announced two years ago their plans to remake the classic musical. No doubt, the many modern day stars, and familiar faces were indeed “Peachy keen, jelly bean!” The three hour debut of the live performance had the lucky fans in the audience screaming as loud as the music. Allow me to share and tell you all about it studs! Remember that beautiful blonde judge from Dancing with the Stars? Julianne Hough became our modern day Sandy Olsson, while Aaron Tveit, a broadway veteran, became our Danny Zuko. Their chemistry was surely felt like the originals’ as they unquestionably go together like rama lama lama ka dinga da dinga dong. A little spice was added to the character of Marty performed by Keke Palmer. The “Call Me Maybe” singer Carly Rae Jepsen portrayed sweet ol’ Frenchy, and Elle McLemore portrayed Patty’s free spirited character. We were even blessed with the return of the original Frenchy, Didi Conn of the 1978 classic. It got very emotional when the old Frenchy was talking to the new Frenchy in the closing restaurant scene. I would dare to say it was pretty nostalgic. Carlos PenaVega was our second in command T-Bird and Mario Lopez played Vince Fontaine alongside many other great actors who took their role with a golden heart and kept to the original pride and joy that is Grease. Bringing such a diverse cast together surely helped to deliver a phenomenal performance. This show wasn’t solely concerned with impressing older audience viewers familiar with the original musical. Nor, did it focus on making the characters look just like the originals. 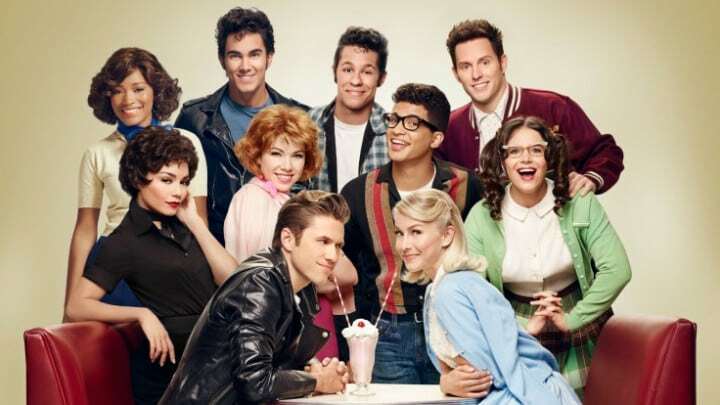 Grease: LIVE was a production that brought even more life to the original. The closing performance of “We Go Together” surely sealed the deal: it was a fantastic performance with an incredible cast, crew, and production team. Grease: LIVE may have brought a tear or two to the eyes of the original Grease fans and managed to touch the hearts of those who were just tuning in to the classical musical for the first time. If you missed the amazing show, have no worry, it is available to watch on FOX.com at http://www.fox.com/grease-live.